Informational speeches are one of the most common types, so most likely you will be asked to present one sometime. 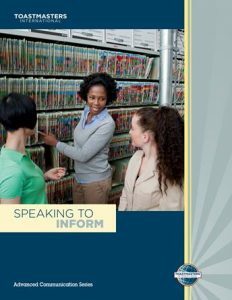 This manual contains information about organising an informational speech, tailoring your speech to the audience, conducting a demonstration, presenting a report and delivering a speech about an abstract subject. 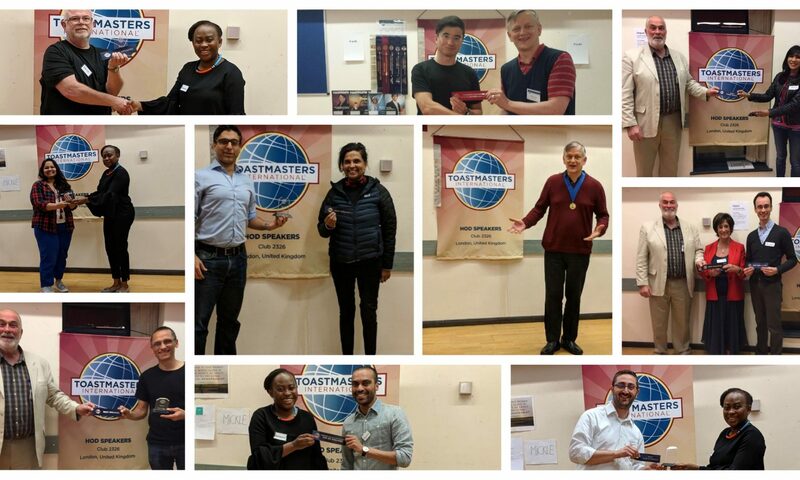 Objectives:• Select new and useful information for presentation to the audience.• Organise the information for easy understandability and retention.• Present the information in a way that will help motivate the audience to learn. Objectives:• Analyse the knowledge level of your audience regarding your chosen subject.• Focus your presentation at the audience’s level of knowledge.• Build a supporting case for each major point through use of explanation, examples and information gathered in research.• Effectively use at least one visual aid to enhance the audience’s understanding. Objectives:• Prepare a demonstration speech to clearly explain a process, product, or activity.• Conduct the demonstration as part of a speech delivered without notes. Objectives:• Prepare a report on a situation, event, or problem of interest to the audience.• Deliver sufficient factual information in your report so the audience can base valid conclusions or a sound decision on it. Objectives:• Research and organise the thought of experts on an abstract concept, theory, historical force, or social/political issue.• Present the ideas in a clear and interesting manner.